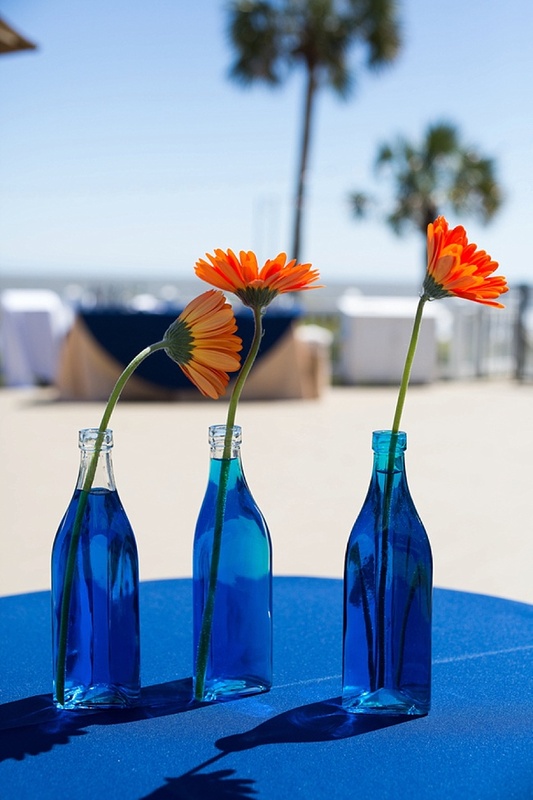 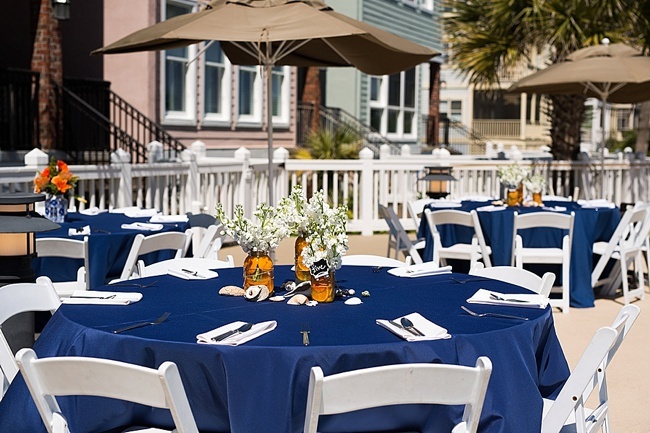 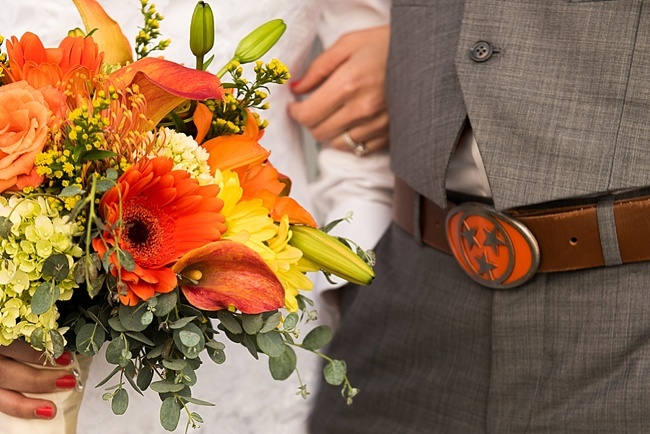 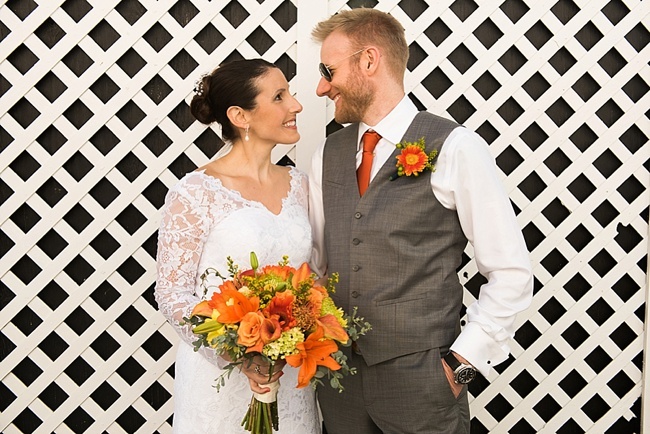 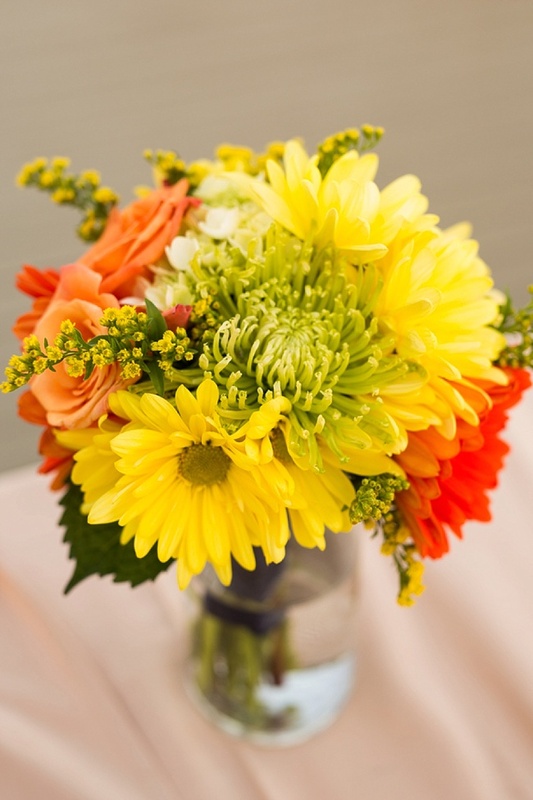 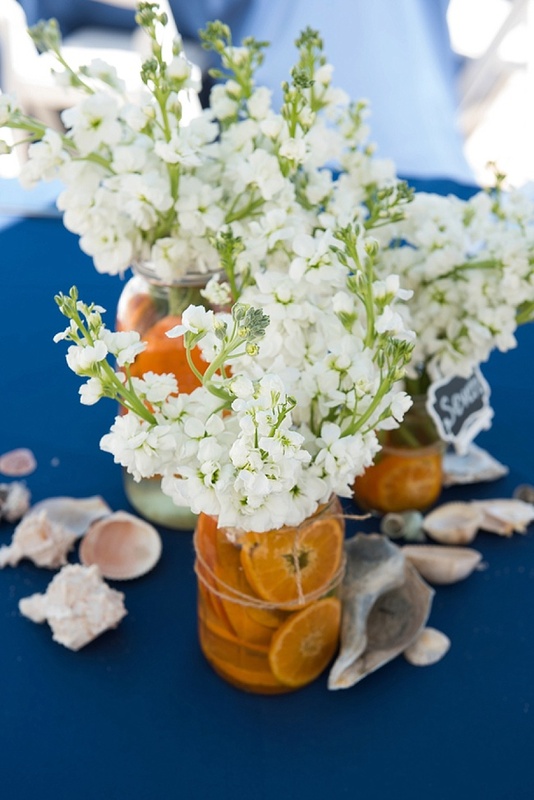 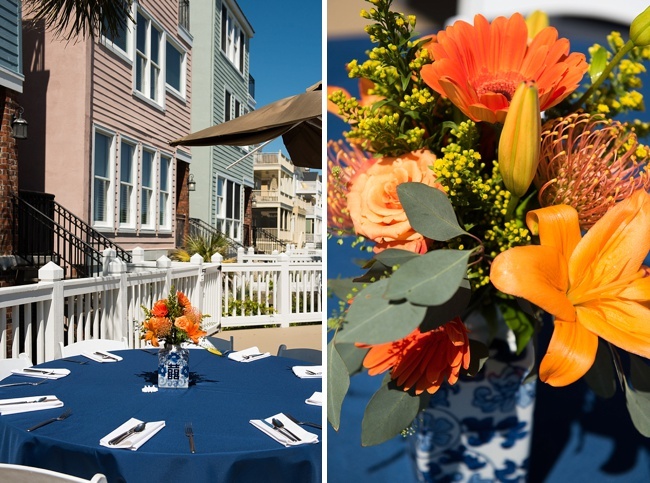 Citrus-inspired blooms and décor backdropped by the Atlantic—need we say more? 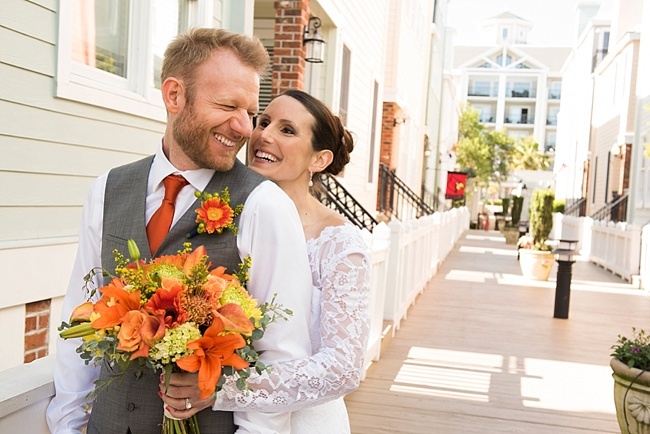 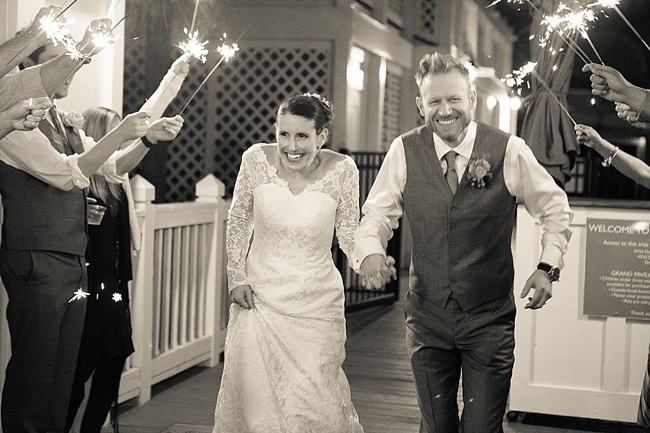 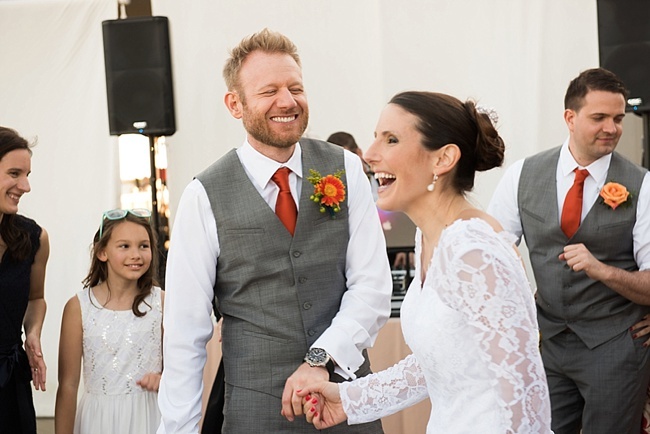 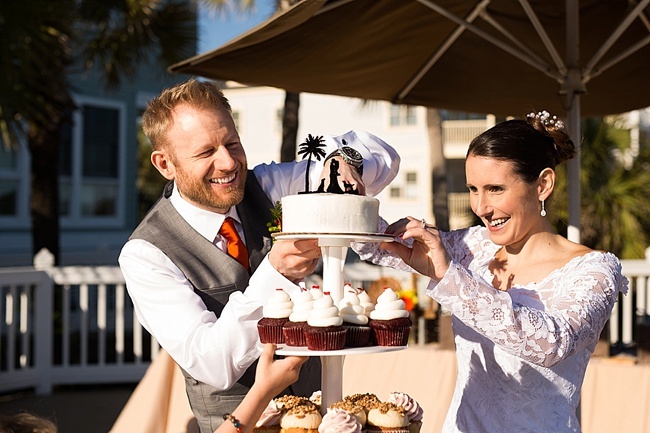 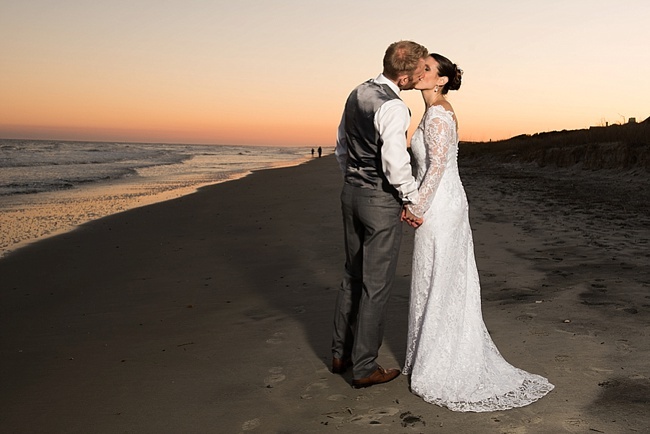 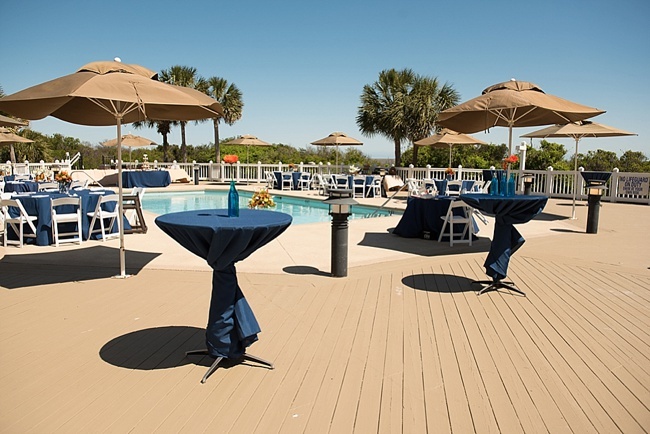 Michelle and Adam’s wedding celebration at Wild Dunes on Isle of Palms has us smiling from ear to ear. 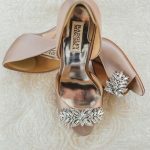 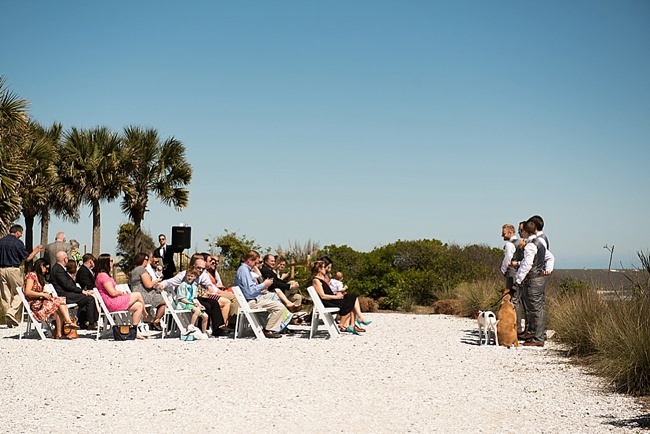 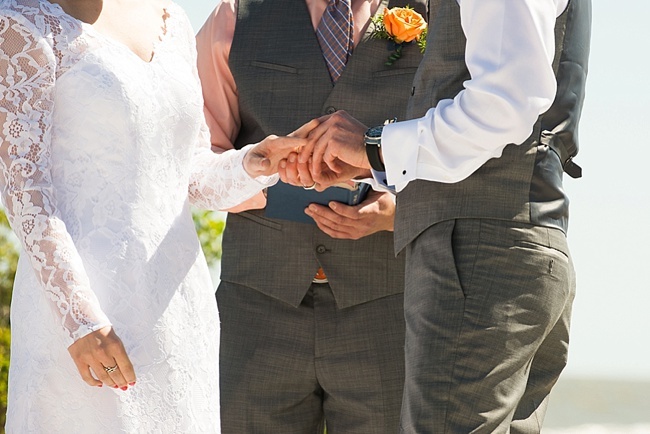 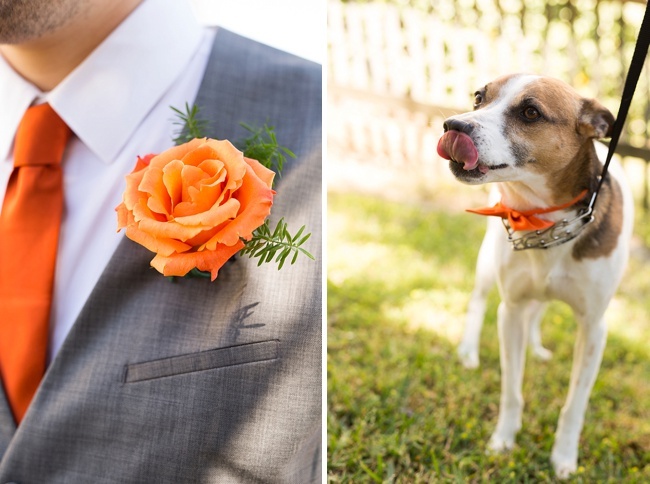 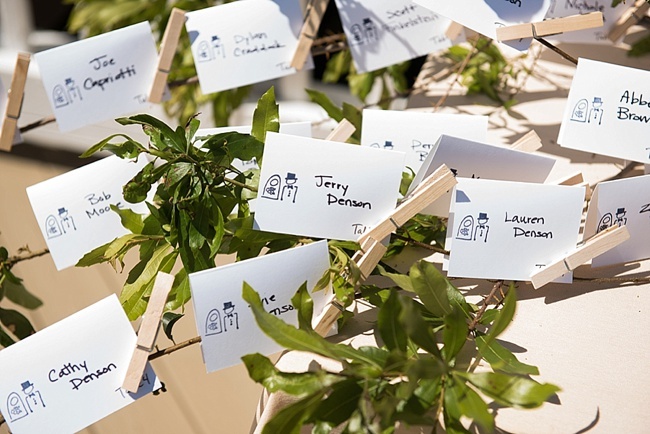 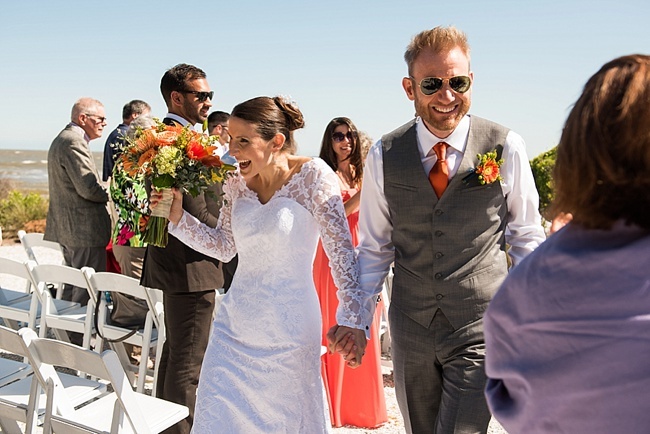 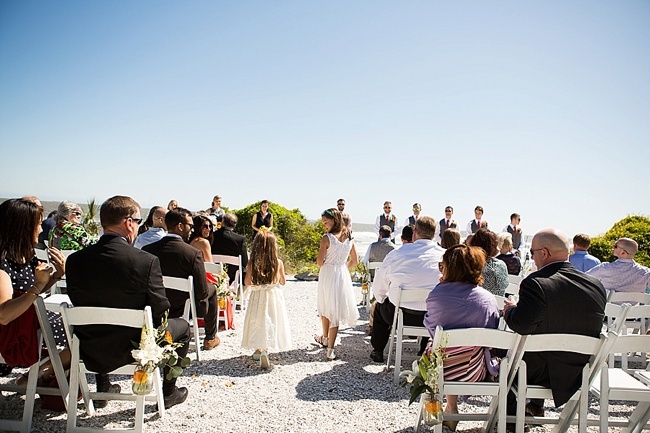 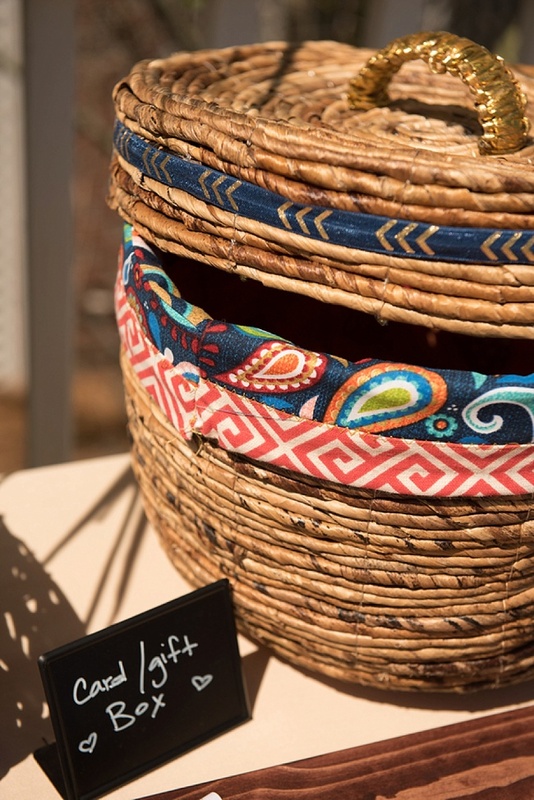 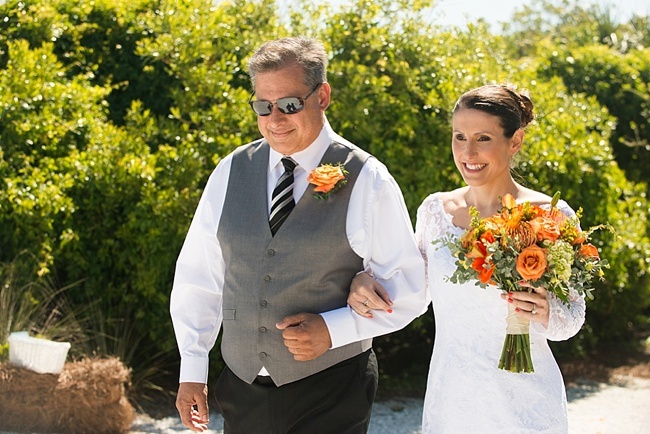 Snapped by shutterbug Reese Moore the ceremony took place on a sandy lawn amongst the dunes with Michelle and Adam’s family, friends, and bow tie-wearing pups there to witness. 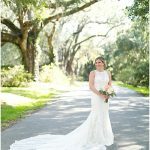 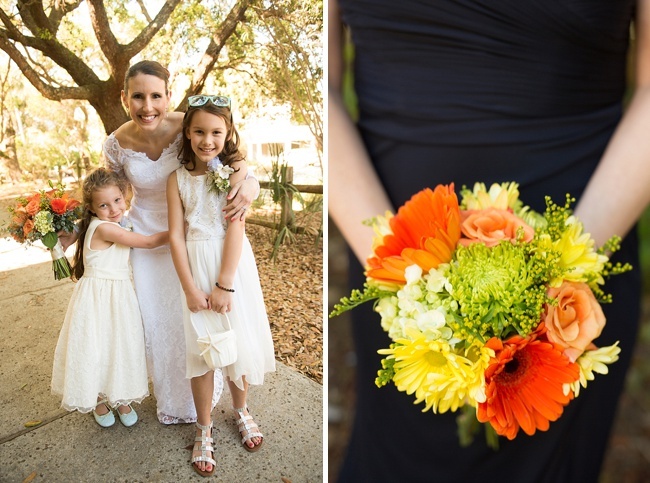 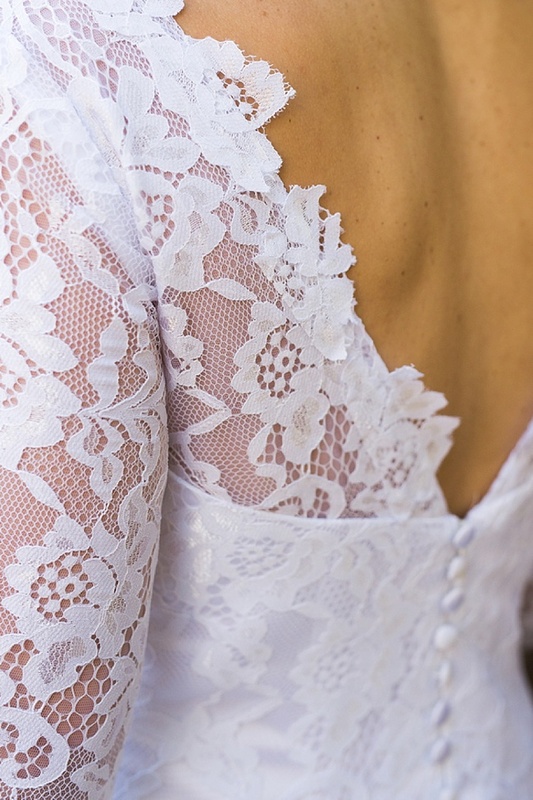 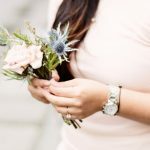 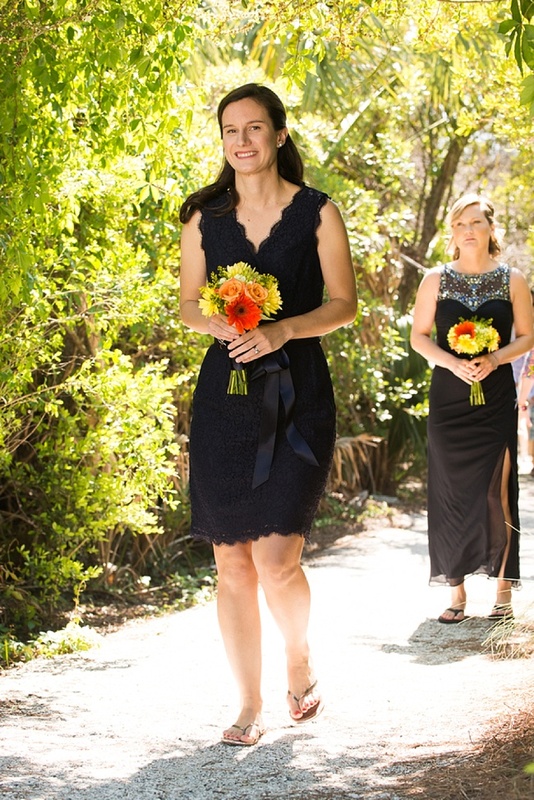 Michelle looked picture-perfect in her white lace sleeved gown, simple swept back hair and bold bouquet of lilies, daisies, roses, and mums, a citrus-shaded creation that informed the reception palette through and through. 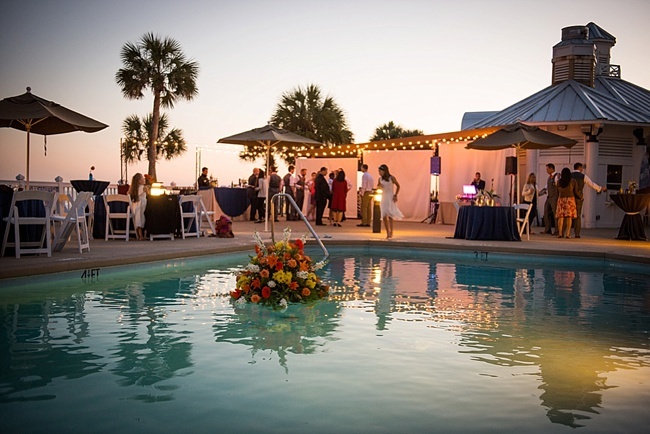 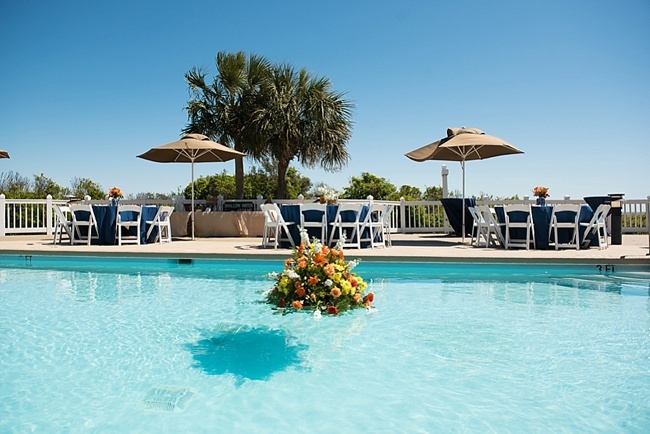 A giant floral arrangement floating in the pool welcomed guests to a waterside reception where a delicious spread from the Wild Dunes kitchen awaited. 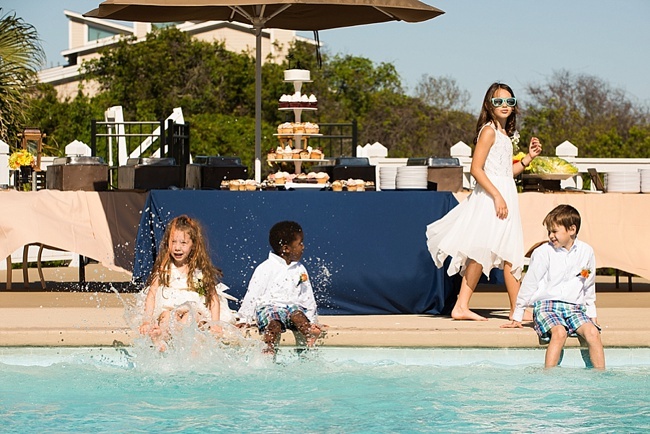 Little ones splashed their feet in the pool while guests took in all that the Party.Love.Birds-planned shingdig had to offer. 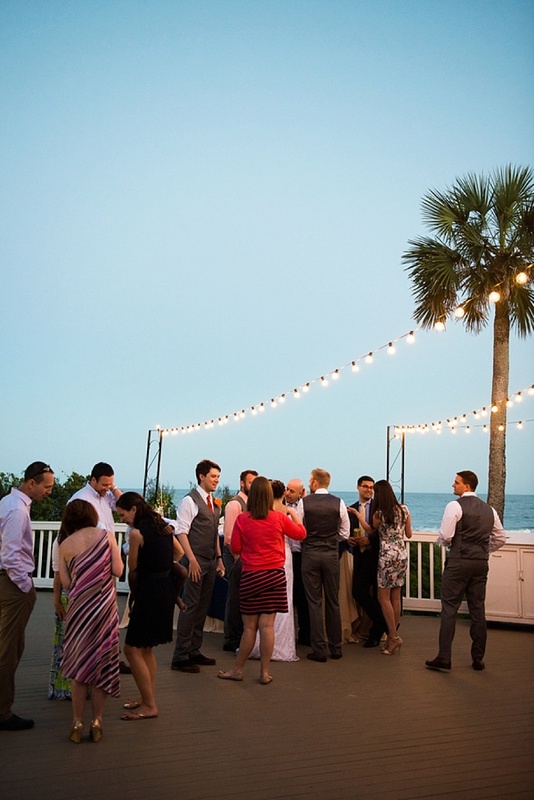 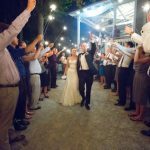 As the sun set, the patio was aglow with bistro lights and the action stretched into the evening until finally Michelle and Adam departed the festivities via sparklers.